Our next MLB Draft profile is on a college lefty who resembles a certain Dodger future Hall of Famer, at least with his delivery. This is Kris Bubic. Note: All information of draft prospects compiled from Internet sources, scouting reports and video. 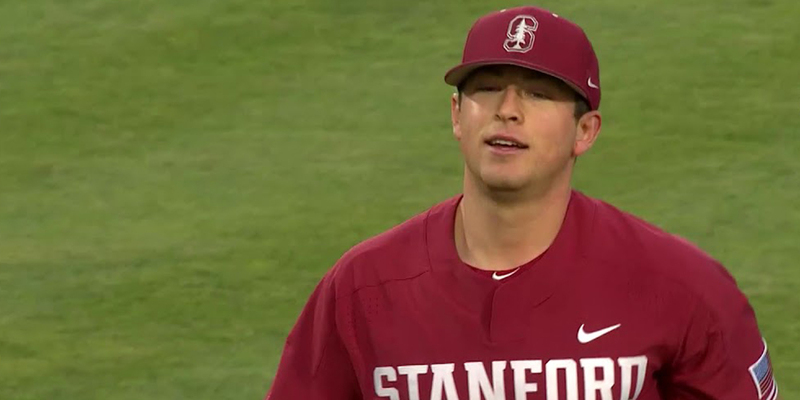 While Stanford doesn’t have the best track record producing durable arms (or hitters who do much more than punch the ball the other way), Bubic is looking to change that. His ceiling isn’t incredibly high, but his floor is a lot higher than most pitching prospects in this draft class. Bubic is armed with a fastball that works best in the low-90s. He has a little reach-back velocity and can touch 95 MPH. It has some natural arm-side run, as is common with most lefties. What really has him on a path to success is a plus-changeup. He’s able to repeat his delivery and arm slot with it, giving it the look of a fastball. It has good fade down-and-away to right-handers, but he isn’t afraid to throw it against any hitter in any count. His curveball is a work in progress. He didn’t use it much during his first two seasons with the Cardinal, but it has improved enough this season to be a viable third pitch. His delivery is, seemingly, somewhat modeled after Clayton Kershaw. He has a little hesitation with his front leg, ala Kershaw, but Bubic is a little more pronounced with it and, particularly, the follow-through that gives it the appearance him kicking his leg. It’s even more prevalent from the stretch. And that’s about where the similarities end, as they should. But one thing I noticed (and kinda like) is that while his delivery is a bit slow and deliberate at times, the ball seems to explode out of his hand. That deception helps his stuff — especially his fastball — play up a bit more than your typical average(ish) heater. Videos courtesy of rkyosh007, Wilson Karaman and 2080 Baseball. A standout in the Cape Cod League last year, Bubic has the ceiling of a low-end No. 2 starter should everything click. More likely, he’s a solid No. 3/4 guy who thrives with his command/control profile and a borderline double-plus changeup. He could move quickly if he takes well to professional instruction. But don’t expect much more velocity, as he’s physically maxed out. He should be signable if the Dodgers pop him at No. 30. He isn’t Walker Buehler in terms of his ceiling (he also isn’t Chris Reed … sigh), but he has about the best chance of reaching the majors someday as anyone in the class. 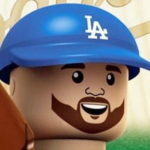 Dustin Nosler began writing about the Dodgers in July 2009 at his blog, Feelin' Kinda Blue. He co-hosts a weekly podcast with Jared Massey called Dugout Blues. He is a contributor/editor at The Hardball Times. He graduated from California State University, Sacramento, with his bachelor’s degree in journalism and a minor in digital media. While at CSUS, he worked for the student-run newspaper The State Hornet for three years, culminating with a 1-year term as editor-in-chief. He resides in Stockton, Calif.